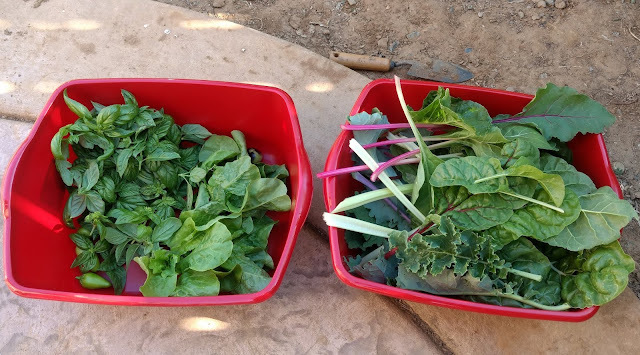 Since coming to maturity, I've been able to harvest quite a bit leaves of Swiss Chard and Kale every week. I've been able to get slightly shy of 1.5 lbs of greens on a weekly basis from my plants. 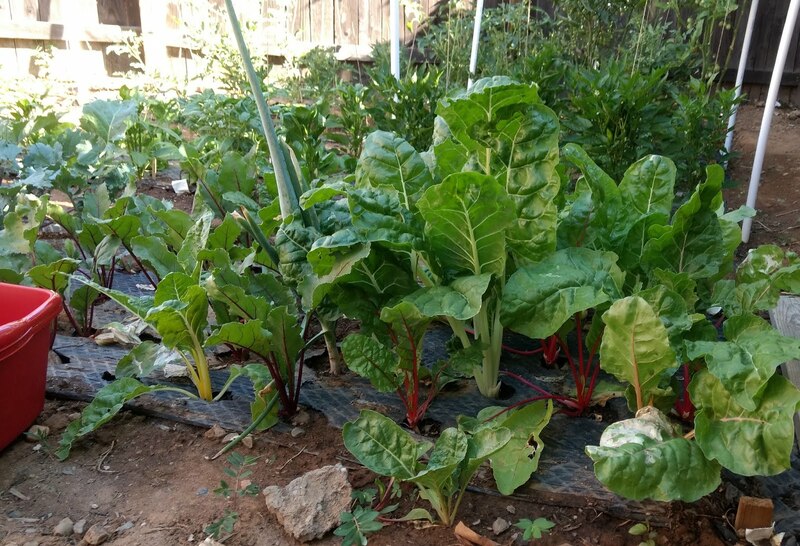 It's especially nice too because the combination of those two greens is not only very tasty, but it can also be prepared and eaten in a variety of ways (raw, grilled, baked to name a few). 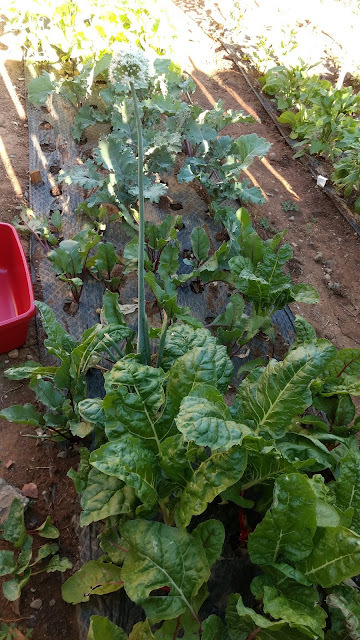 The Fordhook Chard is massive! 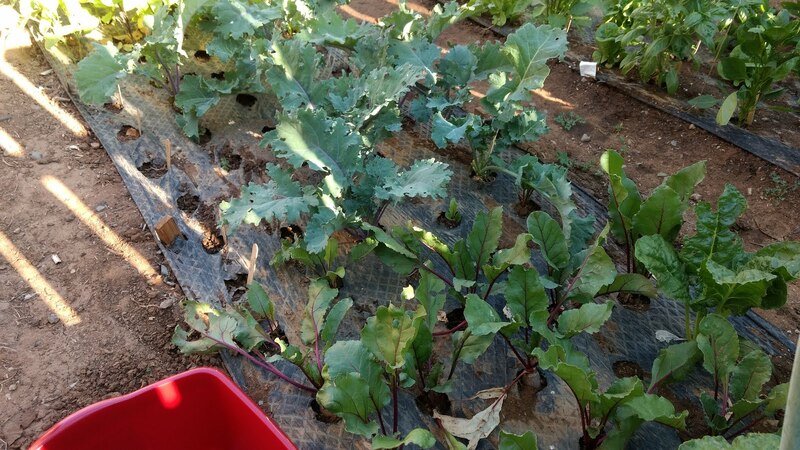 Should be getting a lot of beets soon too. 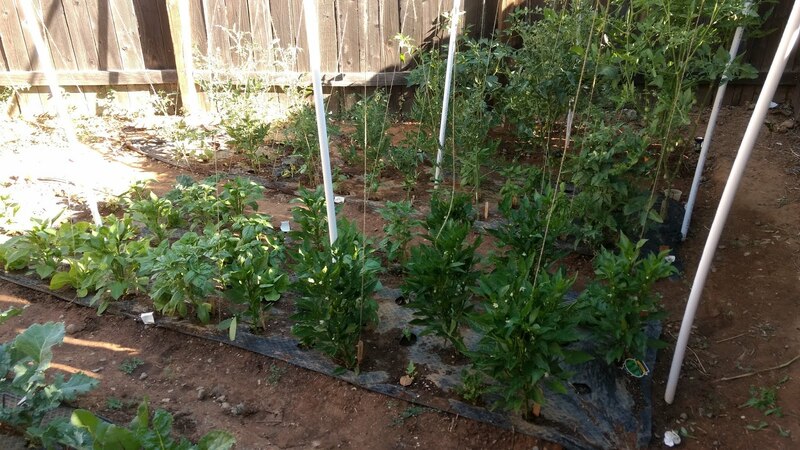 There are a few peppers on my Fresno plants, and I even picked a few today. Many more flowers are forming so lots are on the way. The Anaheim peppers are also beginning to flower. Many of the basil plants have been starting to grow flower shoots, but I've been pinching them back to prevent this from occurring. I pulled in a bunch of basil today. 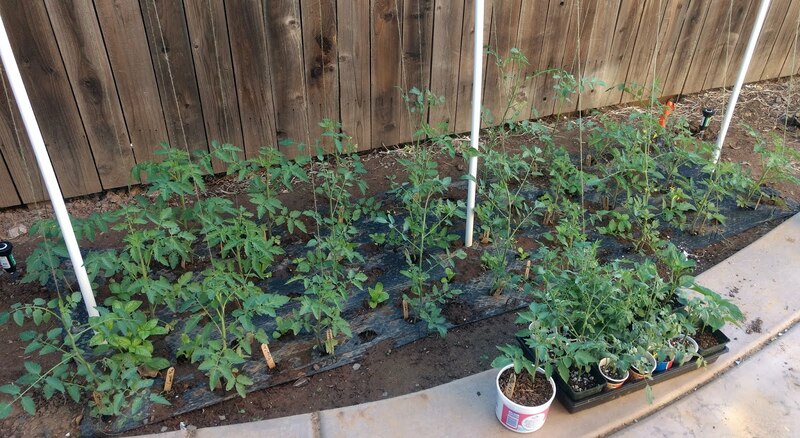 I'll be making some pesto with them. 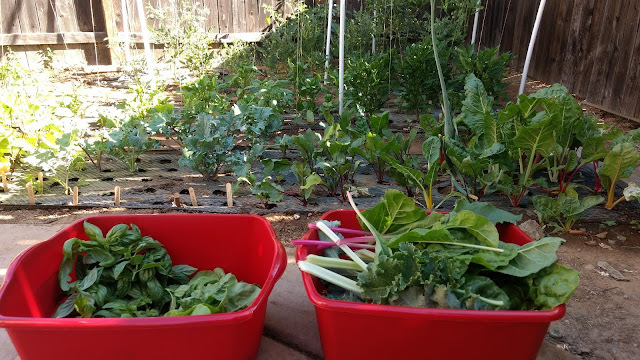 Lots of basil, chard, kale, some lettuce, and a few peppers!